Buried in the heart of bustling Soho is Ducksoup, a small, simple restaurant serving delicious small plates of exactly what you might want to eat, at any time of day. There’s wine by the glass, served by people who know exactly what they are talking about, to eat alongside a small plate of mozzarella, cavalo nero and chilli, or perhaps a more substantial supper of wild boar ragu pappardelle. 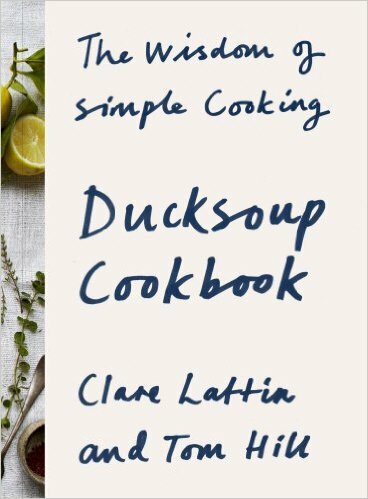 This cookbook aims to bring this simple, pared back approach to cooking out of the restaurant and into your kitchen. Recipes draw inspiration from Italy to the Middle East, and range from simple three-ingredient, tear-them-up, chuck-them-on-the plate assemblies to unwind-as-you-stir lengthier dishes for a feast with loved ones, or simply for yourself at the end of a very long day. Along the way, learn the power of natural flavour enchancers like burnt lemon, labneh and green sauce, and how to make your own. The best sort of cooking is the frequently the simplest sort; whether in a restaurant or a kitchen. This is a book to prove this and teach you exactly how to do it, all in the comfort of your own home.